Monsters, the second downloadable themed content pack for LEGO Worlds, will be available in October for £3.29 on PlayStation 4 and £3.19 on Xbox One. The Monsters Pack adds Monster Town, a peculiar place full of scary quests, terrifying creatures, haunted houses and ghastly vehicles sure to send chills down players’ spines. In Monster Town, Halloween is celebrated every day! But delinquent zombies are taking their trick-or-treating a bit too seriously. Players must use their LEGO brick building skills to repair the damage and scare away the zombies with tricks of their own. It was also confirmed that LEGO Worlds will be coming to Nintendo Switch on 8th September and is available for pre-order. The physical version, priced at £34.99, will include two bonus packs of premium DLC, Classic Space released in July and the upcoming Monsters. The digital version, priced at £24.99, includes the base game with the DLC available separately on the eShop. Both premium DLC packs will be available on all other platforms. 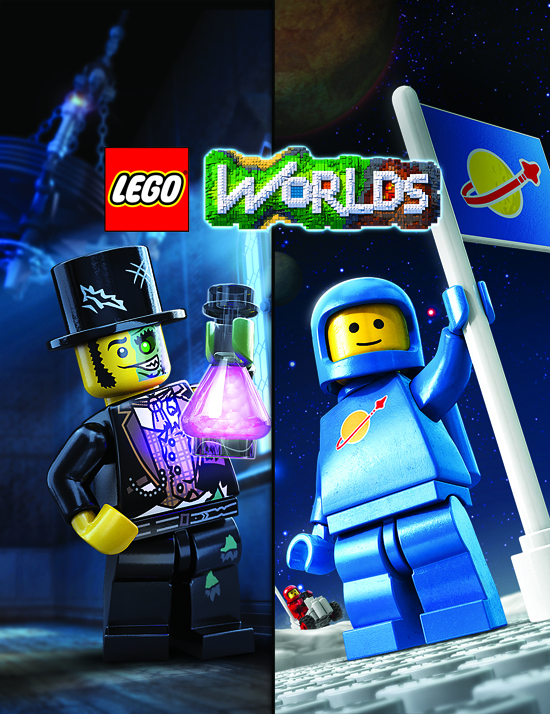 LEGO Worlds, a galaxy of imaginative worlds made of digital LEGO bricks where players can explore, discover and create together, is currently available for PlayStation 4, Xbox One, and STEAM.